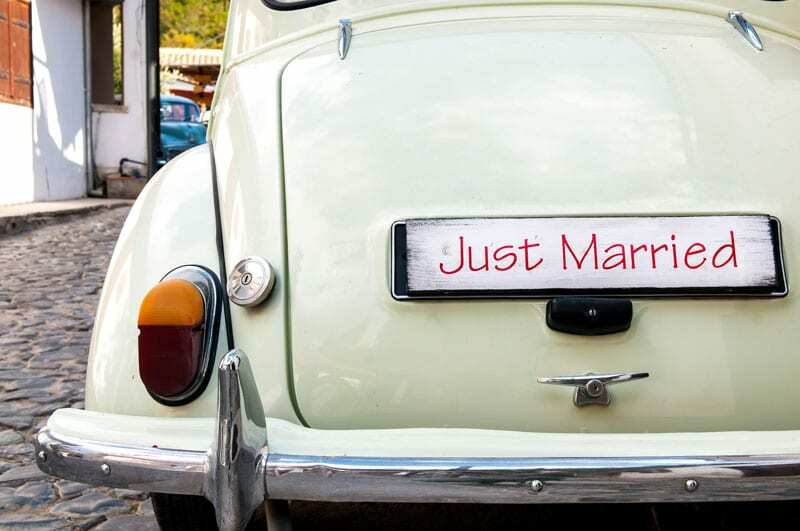 Should Newlyweds Combine Their Car Insurance Policies? HomeArticle Archives Auto Insurance Insurance General Should Newlyweds Combine Their Car Insurance Policies? Congratulations on getting married! Now that the wedding bells have rung, you’re probably in the midst of making a lot of important family decisions. While auto insurance may not be on the top of your list, as a newlywed couple, you should consider combining insurance coverage. Many factors affect car insurance premiums, and being married is one of them. Auto insurers rely on statistics when they determine rates, and married people are less likely to be in an accident and file an auto insurance claim than someone who’s single. One of the perceived reasons for this is because married people feel more responsible than singletons, and this is why they tend to be more careful on the road. Since married people are statistically more careful and less likely to file a claim, insurers tend to reward them with lower premiums. Getting married can instantly earn you policy savings, but you can earn even more by combining you and your spouse’s car insurance policy. That said, this move is feasible only if the two of you have a good driving record and no gaps in insurance coverage. If you and your spouse have more than one traffic violation or accident on record, you may actually see rates rise. In this case, it could be cheaper to keep car policies separate. Combining policies also makes sense even for couples who have only one car because it guarantees that both drivers are covered without incurring the cost of a second policy. On the other hand, couples with more than one vehicle have a chance to incur a multi-car discount from insurers. In most circumstances, it will be beneficial for newlyweds to merge their auto insurance policies. A quick call to the experts at Kneller Agency can help you to understand what is best for your needs and wallet. Contact us for auto insurance coverage in New York.